This AMAZING teaching poster allows patients to see the “tangled web” between the nervous system (top down approach) and the base (toxins) that will disrupt nervous system integrity and function. In turn, the nervous system controls the function of the four key systems (immune, sensory, endocrine and gut) and the three key biochemical systems (mitochondria, methylation and metabolism). 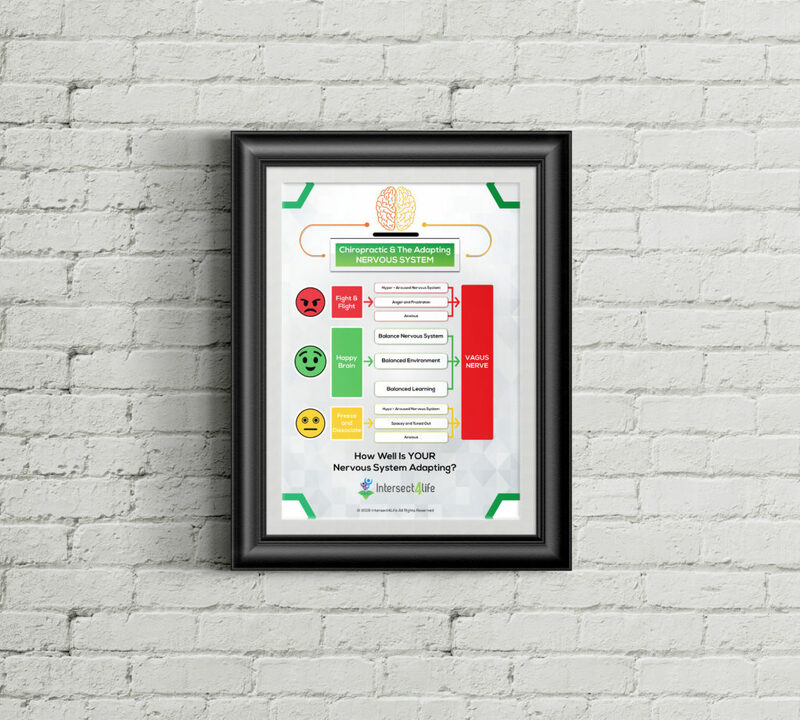 This teaching poster helps to show patients all the factors that need to be taken into consideration in order for the body to heal. It also helps educate patients on their responsibility in their healing journey and that it generally isn’t a “quick fix”! 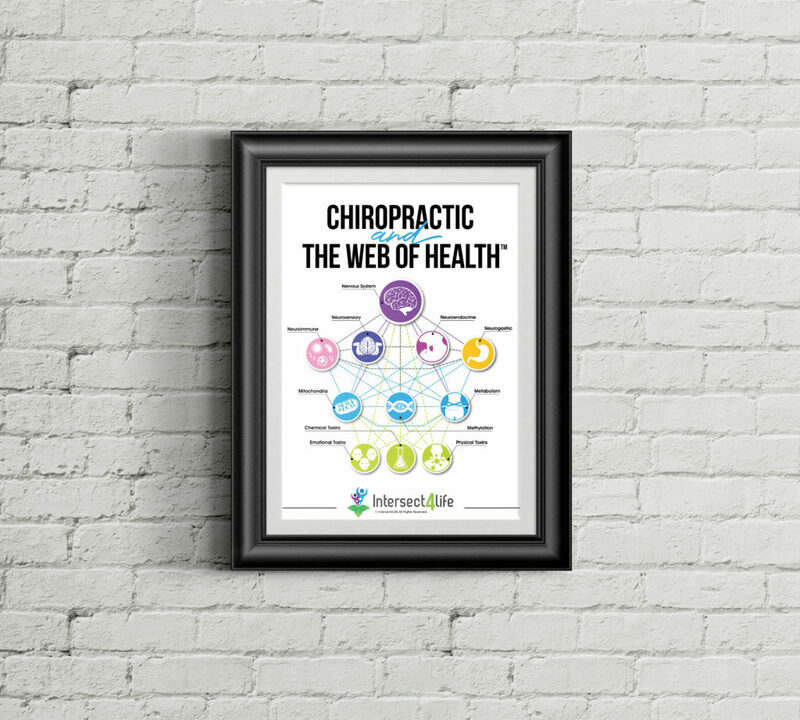 The purchase of this wonderful educational tool also includes an awesome webinar where Dr. Buerger walks you through all the different aspects of The Web of Health and gives invaluable pearls to help explain “the tangled web we weave” to patients. Once patients are able to “connect the dots”, they are will have a list of potential patients to REFER to YOUR office! This INCREDIBLE teaching poster is a wonderful way to help patients, even those left brain engineers, understand the way that the nervous system adapts under stress (trauma, toxins, thoughts and technology) and HOW chiropractic care and the Vagus Nerve play an integral part in the HEALTHY adaptation of nervous system function. It is also an awesome way to connect with kiddos to help them understand what happens to their brain and body under stress. In addition, it is extremely helpful to use with kiddos to help find their “weak links” of nervous system (sensory-motor) integrity and what makes them go “crazy brain” or “zone out”. The purchase of this incredible teaching tool comes with a beyond valuable webinar where Dr. Buerger goes over how to use this in your practice with parents, kiddos and teachers. Once they understand the adapting nervous system and WHY CHIROPRACTIC care is so key to a healthy brain and body, they will undoubtedly have a list of potential patients that would be the perfect fit for YOUR office! THIS phenomenal teaching poster is science made easy! It helps explain in a nutshell the most recent cutting edge science known on health and well being from a physical and mental aspect. 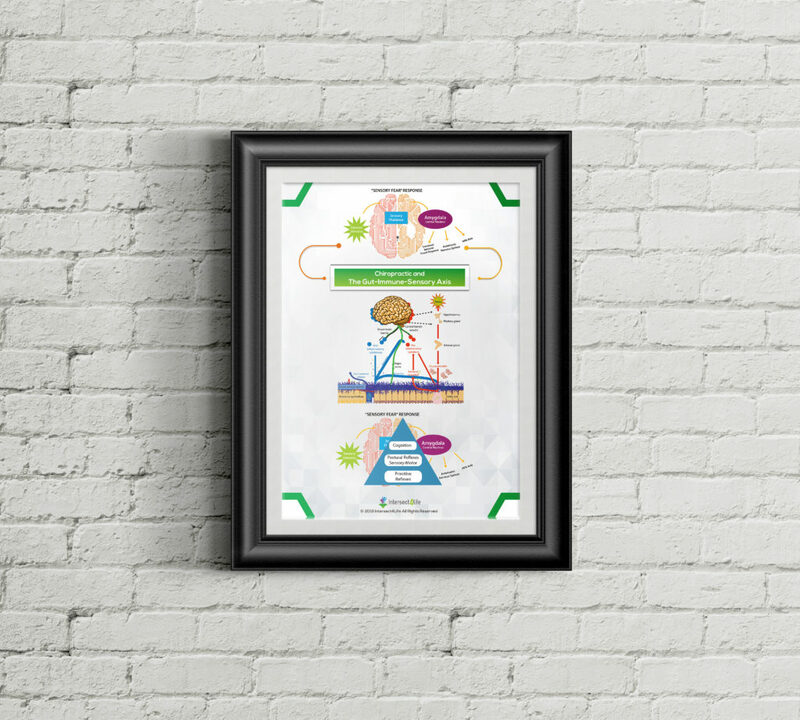 This poster helps explain neurodevelopment, sensory-motor dysfunction, and chiropractic care and how a dysregulated autonomic nervous system will affect the neuroendocrine system and the gut-brain axis. Optimal health and neurodevelopment hinge off of the chiropractic-gut-immune-sensory axis! The purchase of this phenomenal teaching tool comes with an incredible webinar where Dr. Buerger gives you the ins and outs of the “BIGGER Picture” where you will gain certainty and confidence in what it is you do! It will help patients see the “Bigger Picture” and the profound affects of dysregulation of this axis. It is a great tool to promote optimal wellness and create a “wellness based practice” with patients that stay, pay and refer! Posters are 16x20, Gloss Printed. Does not include frame.